News of a smartphone with multiple cameras aren’t new. We’re up to four now, but five cameras? That maybe a little too much. But if leaks are to be believed, then Nokia might be the first to release a five camera setup on a smartphone. 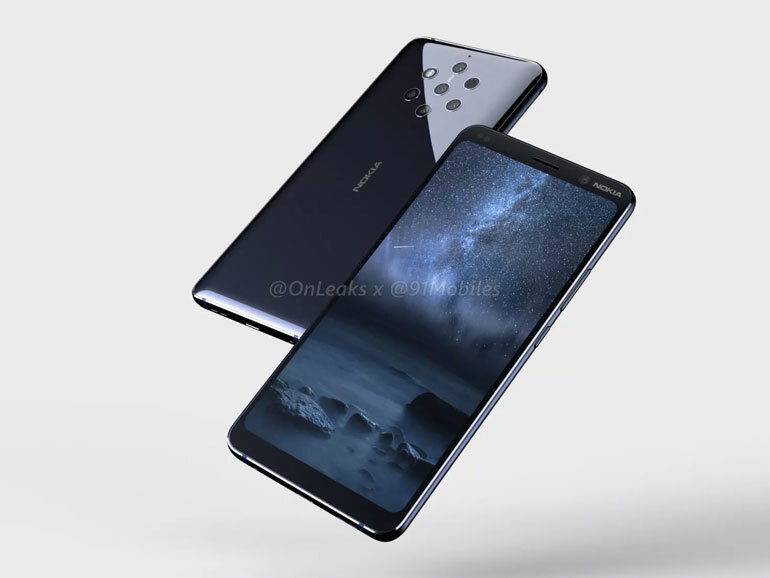 Renders of the alleged Nokia 9 has surfaced from @OnLeaks and 91mobiles based on a leaked image of the device. And if it’s accurate (which some claim it is), then the latest handset from HMD Global will have five cameras. Up front, the design is similar to recent Nokia handsets. But at the back, you’ll notice the five-camera Zeiss setup in a hexagon pattern. The Nokia 9 is said to have a 5.9-inch quad HD display with an 18:9 aspect ratio. It does not have a fingerprint sensor, so it might rely on face unlock or an in-display fingerprint sensor for security. There seems to be no headphone jack either, so it will rely on a USB Type-C port for that. It will have glass back and a reported 4,150mAh battery with wireless charging. As for the processor, rumors say it will run on an octa-core Snapdragon 845 with up to 8GB RAM and 128GB storage. That’s about it for the leaks. 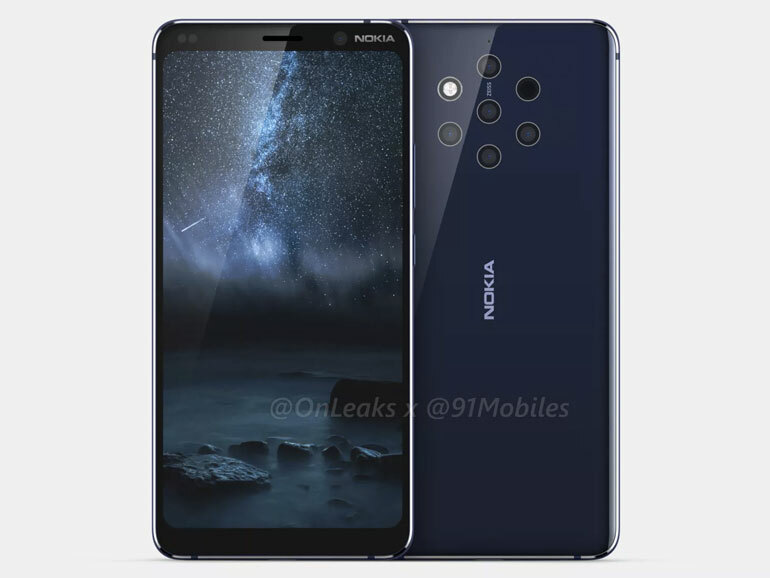 Since HMD Global has not made any announcement about the Nokia 9, its best to take this with a grain of salt.